It may not be as glamorous or exciting as planning your new home’s layout, floor plan or interior design features, but choosing locations for your electrical outlets and switches is a vital part of the custom home creation process. Optimizing the placement of outlets and switches adds a great deal of convenience to day-to-day living, and can also help you save money on home operating costs. 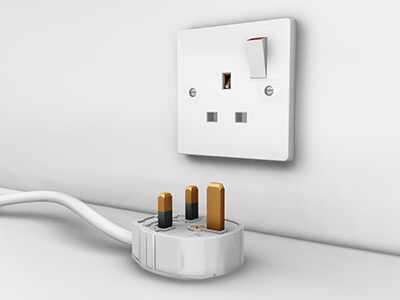 In recent years, a wide range of innovative outlets, sockets and switches have hit the market. Familiarize yourself with the features of these products…they might make a good fit in your new Calgary custom home! Mainly for aesthetics, electrical outlets are typically placed low on walls and located on wall spaces where they are hidden by furniture or other obstructions. This sort of thinking is a good start for when it first comes to placing your electrical outlets, but there are some cool alternatives to consider. Extra outlets built into your floor to make it easier to plug in lights, appliances and electronics. Well-placed floor outlets can reduce or eliminate your need for extension cords and power bars, which are convenient but can create tripping hazards. Another thing to consider, especially in kitchens and basements, is placing your electrical outlets a little higher on the wall than you normally might. This can save you thousands of dollars in the event of a flood, as floodwaters will ruin your electrical connections if they become saturated. Raising your outlets makes it less likely that floodwaters will affect them, and after what happened in the spring of 2013, Albertans know all too well that major flooding is a real risk. If you want to obscure your electrical outlets, you can hide them behind a small, specially designed trap door. These doors open when needed and close when the outlet is not in use, seamlessly masking it with the wall or floor. Talk to your Fine Line Homes builder during the home design phase if you want to use this technique. Switches should be placed so they are accessible and intuitive to use. For the most part, it is best to place light switches on the wall near doorways so they can be easily activated when you enter the room. Programmable switches and dimmers are highly recommended for home lighting, as these products help save a great deal on energy costs. For a very affordable up-front investment, you can trim your power bills year in and year out by reducing electricity consumption. Tab power strips. Track and manage your electrical connections with these smart power strips, which use pictograms and touch-based activations for ease of use. Floor plan outlets. It can be tricky to remember which appliances are plugged into which outlets. Colour-coded, modifiable outlets solve this dilemma, allowing you to track and adjust your electrical connections according to each room’s floor plan. Power timers. Combination power timers and surge protectors are ideal if you need to manage the flow of electricity to various areas of your home at specific times of day. These products automatically route the flow of power to various areas of your home, helping you avoid unnecessary power consumption. Doughnut power strips. These circular sockets contain multiple outlets, and can be rotated for ease of access. Fine Line Homes is a leading Alberta-based builder of beautiful custom homes. Owning a custom home is more affordable than you might think, and with Fine Line’s expert team of architectural and engineering professionals on your side, we can make your lifestyle dreams a reality. Please visit us online to learn more about the custom home building process, or to get a fast, free custom home construction estimate.